If you enjoy ghee, you’ll love this enhanced version for any cake, cookie, or sweet treat recipe! Ghee, or clarified butter, is butter with the milk solids removed. It’s ideal for those who are lactose intolerant. With its high smoking point, ghee works great for cooking. 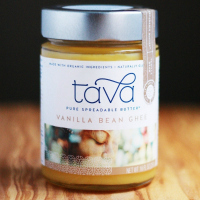 Vanilla bean ghee is delicious when used in pancakes, cookies, or cakes. While I still think Tava’s brand is unbeatable, I like our version too. Their version may be infused with the bean only, because theirs is perfectly yellow and smooth. I add the pulp for extra flavor. Wondering how to make ghee? Ghee is butter with the milk solids removed. Ghee is one of the purest forms of butter, and because of its high smoke point, is perfect for cooking and ideal for those who are lactose intolerant. Melt butter on medium heat. Allow to come to a slight boil and turn down to low setting. You will see a foam on top, and solids on the bottom. The ghee is the clear yellow in the middle. Continue to simmer while scraping off the foam. Keep allowing the solids to settle. 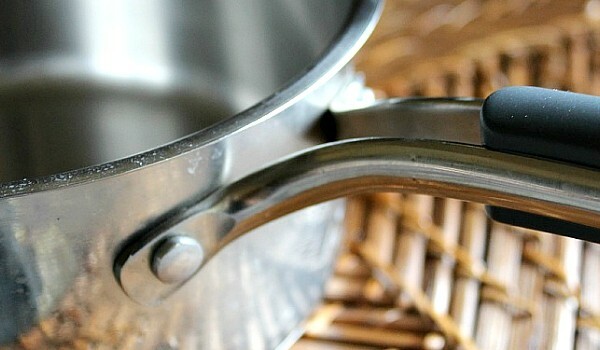 Pour through a strainer lined with cheesecloth. The solids will be collected in the cheesecloth. Alternately, you may simply pour into a glass jar and leave the solids at the bottom. 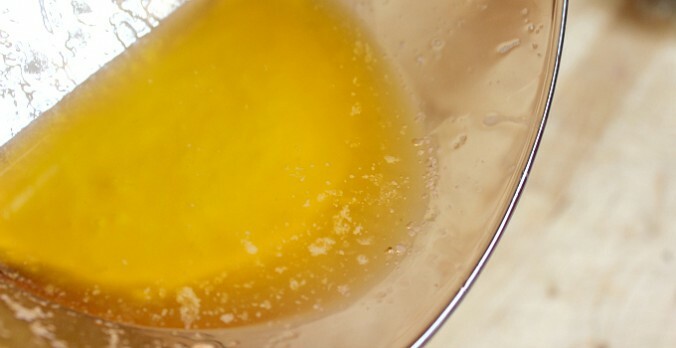 You'll get more ghee by straining but the other method is acceptable. Homemade ghee has a long shelf life and is stable at room temperature. May be refrigerated. 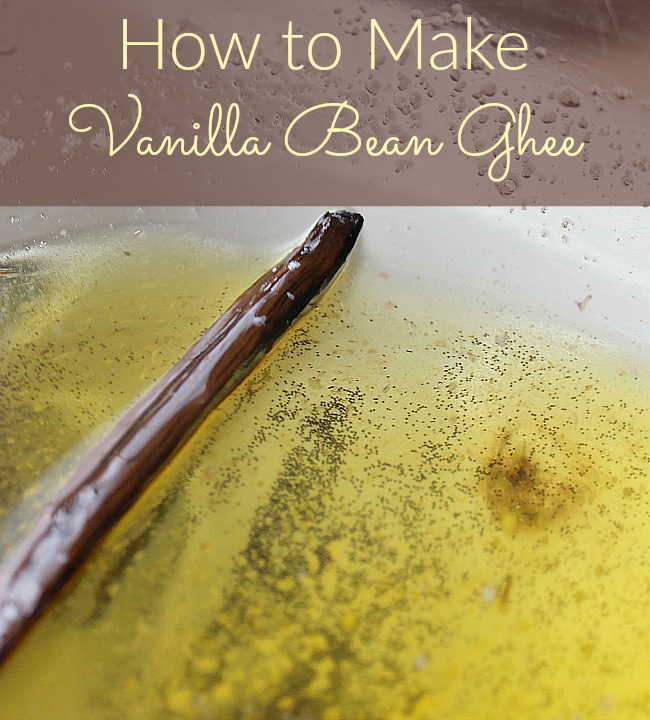 How long would you ‘season’ the ghee w/the vanilla bean to achieve desired flavor? Thank you. I suggest at least an hour, Wendy. Mine still doesn’t taste like the store-bought, but definitely had a nice vanilla flavor. This is such a great idea Andrea! I never would have thought of this. Thanks for sharing this at Savoring Saturdays linky party! Hope you’ll join us again!